Have you ever thought of planning a trip to Tripura? Yes, the unexplored state in Northeast India. Whenever the talk is about holiday destinations, we always incline towards popular places, such as Kerala and Rajasthan. But do you know the ignored beauty of Tripura is equally marvellous which is certainly capable of astonishing its visitors by its unseen grandeur? If you are looking for places where you can savour the beauty of unexplored trails and unpolluted atmosphere, then you must plan a visit to Tripura and its beautiful stoppages. One such place which makes for a perfect weekend getaway is the hidden village of Melaghar. Here, you can relish natural beauty as well as historical marvels. So, what do you think of a visit to this untold destination? Scroll down to learn more about it. Melaghar experiences a favourable climate throughout the year and hence, it can be visited anytime in a year. However, if you desire to avoid its summer heat, then the best time to visit Melaghar is from November to February. Melaghar is located in the Sipahijala district of Tripura and is one of the few places in Tripura where you can get in touch with the raw culture and beauty of the state. Even though the exact history of this wonderful hamlet is still unknown, it is believed to have been established several centuries ago. Therefore, you can also find numerous ancient sites within its boundaries. 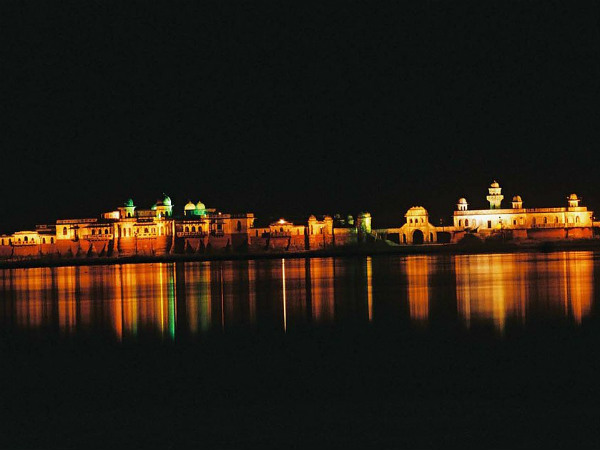 However, it is popular amongst local tourists for Neermahal, which is a lake palace built in the year 1938 and is one of its kind in the country. As Melaghar is also known for its age-old culture, it celebrates several festivals with great enthusiasm, such as Durga Puja, Kali Puja and Rath Yatra, which is one of the oldest fairs in the state. Doesn't it seem like a perfect holiday destination amid lakes, palaces and temples? If you desire to find yourself in an uncrowded environment and still savour the beauty of palaces and lakes, then Melaghar is an idyllic stoppage for you. On one hand, you can laze by its relaxing lake and walk through the ancient corridors of Neermahal and on the other hand, you can feel the beauty of divinity in its temples and mingle with the locals to learn about the culture. Apart from Neermahal and Rudrasagar Lake, the prominent places to visit here include Veeramma Kali Mandir and Melaghar Kali Temple. You can also explore its beautiful markets. So, what you think about Melaghar now? By Air: If you are looking forward to travelling by air, then the best way to reach Melaghar is by taking a flight to Agartala airport and then from there, a cab to Melaghar. The airport is located at a distance of about 60 km from Melaghar and hence, it will take you an approximate time of 2 h to reach your destination from the airport. By Rail: The major railhead from Melaghar is located in Agartala. Therefore, you need to take a train to Agartala railway station and then from there, a cab to reach Melaghar. By Road: Melaghar has a good system of roads and hence, you can easily approach it by road.